Ibas stated this in a paper presented at the 2015 Annual Lecture, Investiture and Award ceremony of the Certified Institute of Shipping (CIS), made available to newsmen on Monday in Lagos. 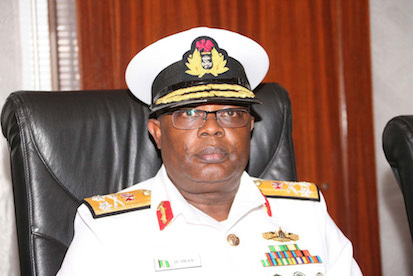 He said the Nigerian Navy has also signed an MoU on Maritime Guard Command with the Nigerian Maritime Administration Safety Agency (NIMASA) and the Nigerian Ports Authority (NPA). ``Furthermore, the Nigerian Navy streamlined the operations of private maritime security companies. ``The arrangement has engendered the enabling environment necessary for uninterrupted crude oil production by the International Oil Companies (IOCs) and their contractors, thus enhancing economic development,'' Ibas said. He also said that the Navy had established an information sharing mechanism with the Nigerian Trawlers Owners Association, as a collaborative effort to solve insecurity in Nigeria’s maritime domain. 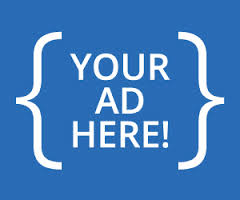 ``Public enlightenment at curbing crude oil theft and pipeline vandalism is also held regularly. This is in addition to the setting up of a ‘No Crude Oil Theft’ website www.cot.navy.mil.ng,’’ Ibas said. He said the Navy also held periodic meetings and retreats with maritime stakeholders, adding that all these were geared toward curbing insecurity in the maritime domain for economic development. ``The huge potential of the maritime sector despite being acknowledged as Nigeria’s second largest revenue earner remains largely untapped due to a myriad of surmountable challenges which include insecurity. ``Hence, the need for continuous development of capacity by the Nigerian Navy to carry out her constitutional roles to improve security in Nigeria’s maritime domain cannot be over-emphasised. ``It is an indisputable fact that Nigeria’s economic centre of gravity lies within the maritime domain, which falls within the operational sphere of the Nigerian Navy. ``A conducive, safe and secured atmosphere, therefore, is vital to harnessing the enormous resources in the maritime domain for economic development. ``Herein lies the importance of the Nigerian Navy as a vital component of state institutions for attainment of the nation’s economic aspiration,’’ the chief of naval staff said. He said that the nation was currently experiencing some form of insecurity in the maritime environment-- with great potential of impacting negatively on its economic development. ``Principal among them include: crude oil theft, pipeline vandalism, hijack of ships, kidnapping, piracy and sea robbery. ``In curbing these maritime security challenges, the strategic goal of the Nigerian Navy is to re-position the service for enhanced efficiency, aimed at achieving and sustaining effective capacity. ``This is to enable the Nigerian Navy carry out her statutory roles toward curbing insecurity in the maritime domain for enhanced economic development,’’ the chief of naval staff said. He said the maritime environment was also susceptible to threats such as communal agitations, insurgency, pollution and terrorism among others. ``These threats translate into security challenges within Nigeria’s maritime domain which places demands on the Navy to secure the Sea Lanes of Communication, as well as protection of oil and gas infrastructure,’’ Ibas said. He recalled that over the years, the Nigerian Navy had been stretching its meagre resources to contend with the enormous responsibilities of safeguarding Nigeria’s maritime frontiers. The chief of naval staff also said sustained presence at sea required a huge outlay of logistic requirements. ``The petroleum, oil lubricant requirement for NNS THUNDER to remain at sea for 3 days, for instance, will cost about N45 million. ``Inadequate funding has also impacted adversely on the welfare of personnel, such as inadequate barrack accommodation. ``Adequate funding of the Navy is therefore imperative, considering the insecurity resulting from proliferation of arms and the colossal loss of revenue by the government predicated on the lack of credible naval presence in our maritime domain,’’ Ibas said. The chief of naval staff commended the management of the institute (CIS) for maintaining a high standard in training shipping professionals and proffering solutions to problems and challenges in the maritime industry.